Brad Keselowski finally has the perfect chance to purchase the tank he has vowed to own since winning the 2012 NASCAR Sprint Cup Series championship. After he won the NASCAR Sprint Cup championship is 2012, Brad Keselowski said he was going to buy a tank to run around with on his North Carolina. So far, though, he hasn’t gotten one. Well, he now has a golden opportunity. A collection of more than 200 military vehicles owned by the late Jacques Littlefield of Portola Valley, Calif., is being auctioned off, all at no reserve. We have visited the Littlefield collection. It is real and it is spectacular, with everything from tanks to Scud missile launchers, Sherman tanks, Panzer tanks and even a 35-foot ballistic missile from the old Soviet Union military. In the front yard of the Littlefield property is a propeller from the Lusitania. 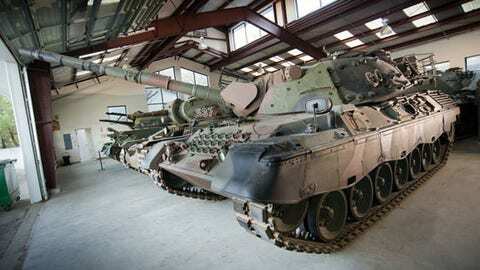 Could this Leopard 1A1A1 Main Battle Tank grace Brad Keselowski’s property in the near future? So, we sent Keselowski the auction info and after he won the pole for Sunday’s NASCAR Sprint Cup race at Phoenix International Raceway, we asked him about the Littlefield auction. "Yeah, I am on it. 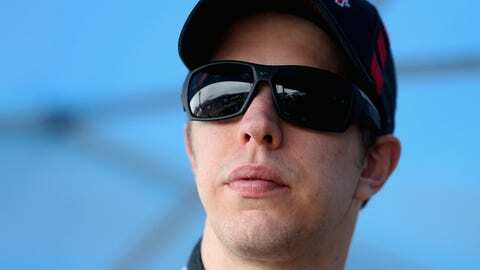 Believe me, I am on it," said Keselowski. "I told everyone I would buy one if I won the Daytona 500. I need more money. I didn’t win though. I gotta win this weekend. I don’t know what this race pays but I need a little help." Stay tuned, race fans, there may be a tank in Keselowski’s future after all.